Captain Ashley Cook first took command of P&O Cruises' Oriana in 2012. Since then he has split his time between Oriana and other P&O Cruises' ships such as Arcadia. 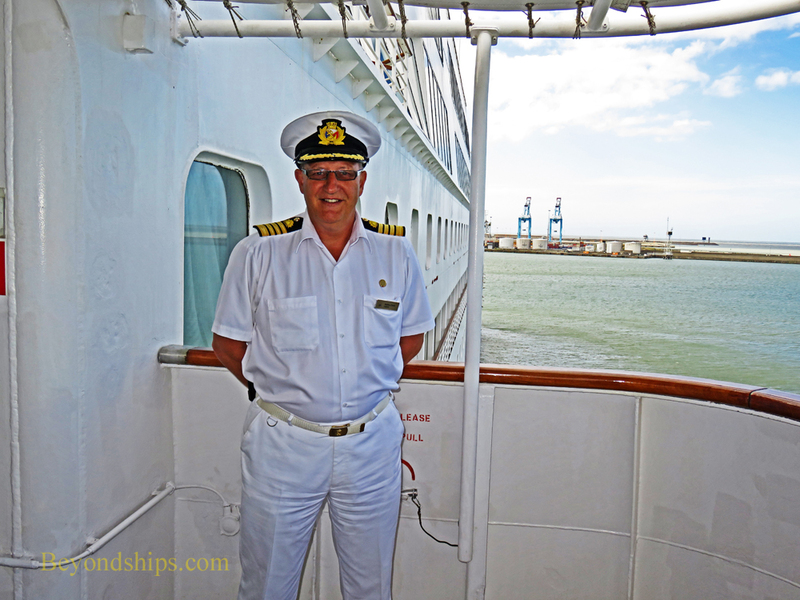 I asked him to share some thoughts about Oriana, her place in the P&O Cruises' fleet and her future. Oriana is also developing a new niche - - discovery cruising. 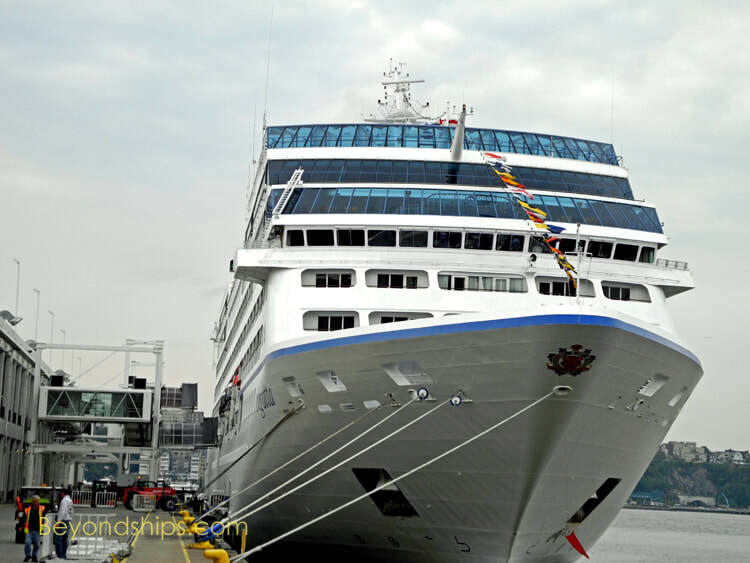 Her relatively small size allows her to go to smaller, off-the-beaten path ports that new larger cruise ships catering to the mass market cannot or do not go. Her propulsion plant was designed for fuel efficiency. “She has four main diesel propulsion engines.” These engines are linked to the propeller shafts through through clutches and gearboxes. At the far end of the shafts are controllable pitch propellers on which the angle of the blades can be varied. To simplify, the shafts turn at a constant rate and the speed of the ship is controlled by adjusting the pitch of the propeller blades. Despite the challenges of maintaining an older ship, P&O Cruises is making a significant investment in Oriana with a three week drydock session scheduled for late 2016.